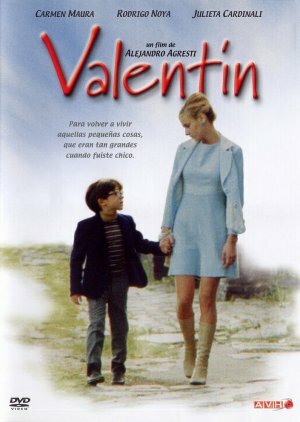 Essential plot rundown: Valentín is a cute 8 year old boy. As soon as the credits started rolling, I tried to sum of the plot of this movie in one sentence, but I couldn't pinpoint the plot. Valentín does not have a clear story or forward progression. Instead, it focuses on Valentín's relationship with those around him and his dreams. And the lack of story is really the only downside to this film. I'll be honest. When I saw this, I was super tired and dozed off a couple of times. So, I may have missed something important; but I may have not. Like I said, there is no real plot. Instead it revolves around characters, mainly Valentín, played by Rodrigo Noya. He does an amazing job. Noya felt really natural and I instantly sympathized with him. But, while the characters were good, they were not a constant in the film. One character would come in and do stuff with Valentín and then leave for a while. There were a few times where I asked myself What happened to so-and-so? It was almost like they just rotated them into the film. I also liked the cinematography. There were a few scenes where the camera started far away from the characters, but slowly moved in. I didn't even noticed most of the time until the camera was up to a medium shot. It added a little dynamic to the film. However, there were a few times where the camera would just move in, then move back out and then move back in, making it feel redundant. Overall, I throughly enjoyed it. While the lack of story does weight it down a little, the characters do their part to make up for it. They are all interesting and Noya does an outstanding job. I would recommend it to anyone.